The Pennsylvania Department of Health has levied $816,000 in fines against nursing home providers already in the first half of 2017. That is more than double the $407,450 in fines handed out in 2016. The department also handed out fines of $170,050 in 2015 and $62,000 in 2014. In 2014, there were 7 cases where the department found a citation that had caused a resident actual harm. So far in 2017, there have been 88 cases. This vast increase in fines is due mostly to regulators using a more rigorous penalty system. The rigorousness is coming after receiving criticism for being too lenient on insufficient care. “When the auditor general looked at our oversight of nursing homes, one of the key recommendations was to be more aggressive in our oversight, and we are,” the department said earlier this year in a statement. In October 2016, Secretary of Health Karen Murphy announced that the department would be using more discretion in determining how much it would fine facilities. The department will be taking into account the level of harm, how long it takes for a problem to be fixed, the facility’s track record of compliance, and other factors. April Hutcheson, a department spokeswoman, said the department has resumed using federally mandated anonymous reporting, which had been discontinued previously. State surveyors also received federal training last year for how to identify the scope and severity of the situation “and, as a result, we have seen an increase in citations of deficiencies at the actual harm and immediate jeopardy level,” said Lorraine Ryan, a CMS spokeswoman. In our last blog post we talked a bit about signs that it might be time to consider assisted living for an aging loved one. 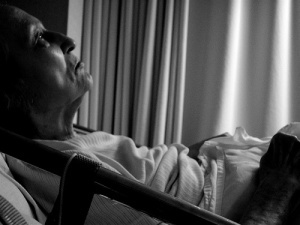 In this post, we will talk a bit about Nursing Home Abuse and Elder Abuse. How often abuse occurs, what to be on the lookout for, and what to do if you think an aging loved one has been abused or is being abused. Unfortunately, nursing home abuse and elder abuse are common and take many forms. According to the Office for Victims of Crime, roughly 5 million people over the age of 65 are victims of elder abuse or nursing home abuse each year. Abuse can be physical, psychological or sexual. Abuse can also take the form of neglect and financial exploitation. Abuse can come from anywhere, even friends and family members. Even more frightening is that only 1 in 24 cases of elder abuse or nursing home abuse is reported to authorities.